Following the Social Tsunami in the Arab World, it is a high time the continent of Africa to get rid of its dictators and join the democratic world. 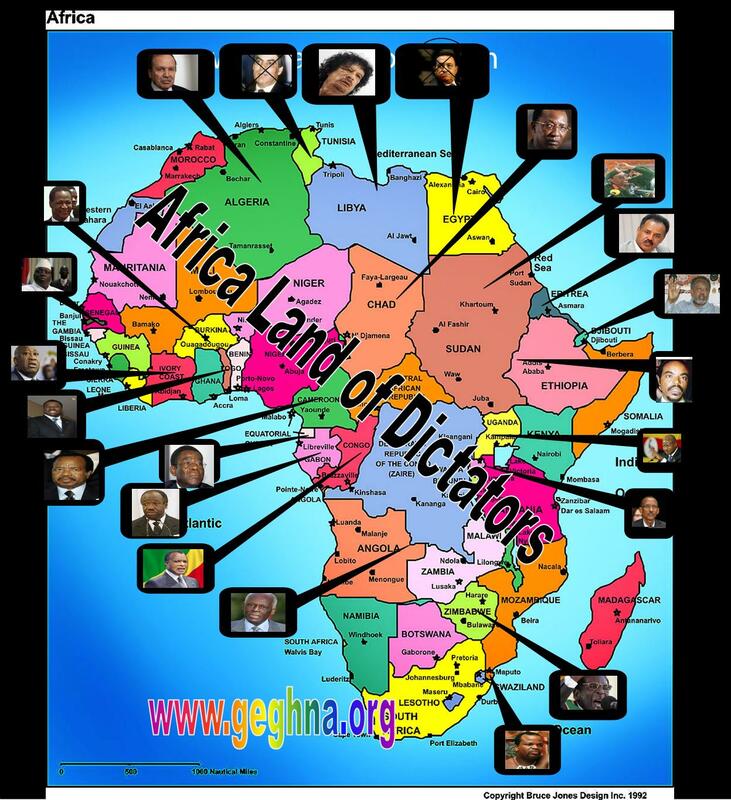 Recently Associated Press dressed a list of African remaining “Big Men” – the leaders who refuse to surrender power, and their sons. 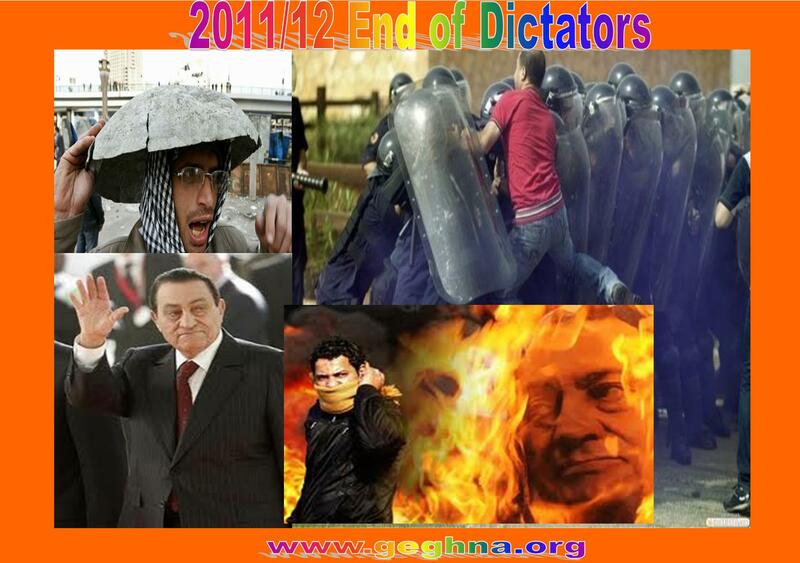 We have added the Algerian dictator to the list and made the images to complete the work. Teodoro Obiang Nguema of Equatorial Guinea, 69 – Took power in a bloody coup in 1979. Jose Eduardo dos Santos of Angola, 68 – President since 1979. Promised elections from 2006 until last year, when a new constitution abolished presidential balloting. The leader of the party that wins most parliament seats becomes president. Denis Sassou-Nguesso of Republic of Congo, 67 – President from 1979 until a 1992 election defeat, seized power again in 1997 with help from Angolan troops. Robert Mugabe of Zimbabwe, 87 – Elected 1980 after a seven-year war for black rule. Refused to accept a 2008 election defeat and is pushing to end a shaky unity government coalition. Paul Biya of Cameroon, 77 – President since 1982. Has won questionable elections since 1992. Changed constitution so he can run again this year. Yoweri Museveni of Uganda, about 66 – President since 1986 when he took power as a rebel leader and ended a civil war. Refused to hold elections until 1996. Most recently reelected March 9 in elections opposition claims were rigged. King Mswati III of Swaziland, 42 – Succeeded his father in 1986. The last absolute monarch in the world. Blaise Compaore of Burkina Faso, 60 – Took power from his best friend, assassinated in the 1987 palace coup. Changed the constitution limiting presidential terms. Holds elections whose results are disputed by a fragmented msg opposition. Omar al-Bashir of Sudan, 67 – Led a bloodless coup in 1989. First sitting head of state indicted by the International Criminal Court, for war crimes and crimes against humanity in Darfur. Idriss Deby of Chad, 59 or 60 – Seized power in a 1990 coup. Eliminated constitutional term limits to contest questionable elections. Faces voters in April. Meles Zenawi of Ethiopia, 55 – Part of a rebel group that ended a civil war in 1991. Elected in 1995. 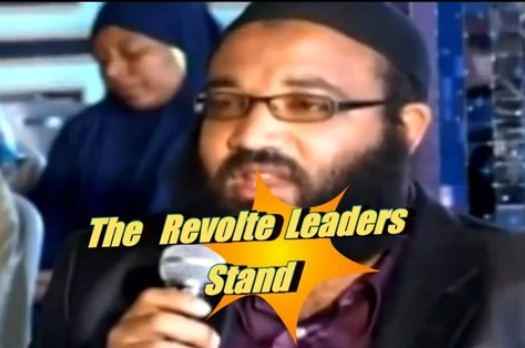 Has held questionable elections marred by riots and bloodshed. Isaias Afwerki of Eritrea, 65 – Led the Eritrean rebel movement that helped end Ethiopia’s civil war in 1991 and ushered in Eritrea’s independence, with him as president, in 1993. Says he expects to live another 40 to 50 years and Eritrea may hold elections in 30 or 40 years. Paul Kagame of Rwanda, 53 – Led rebels who ended Rwanda’s genocide in 1994. Elected since 2000 in elections from which all meaningful opponents have been barred. Yahya Jammeh of Gambia, 45 – Took power in a 1994 coup and vows to never leave. Tribal chieftains are campaigning to make him king. Ismail Omar Guelleh of Djibouti, 67 – Elected 1999 to continue a 30-year family dynasty. Changed constitution so he can run for a third term in April. Faure Gnassingbe of Togo, 44 – Won disputed 2005 elections to succeed his father, who ruled for 38 years. Ali Bongo of Gabon, 52 – Won 2009 elections amid charges of vote-rigging and violent protests after the death of his father, who had ruled since 1967. Laurent Gbagbo of Ivory Coast, 65 – Assumed office in 2000 after elections barring leading opponents. Lost 2010 elections but refuses to step down.